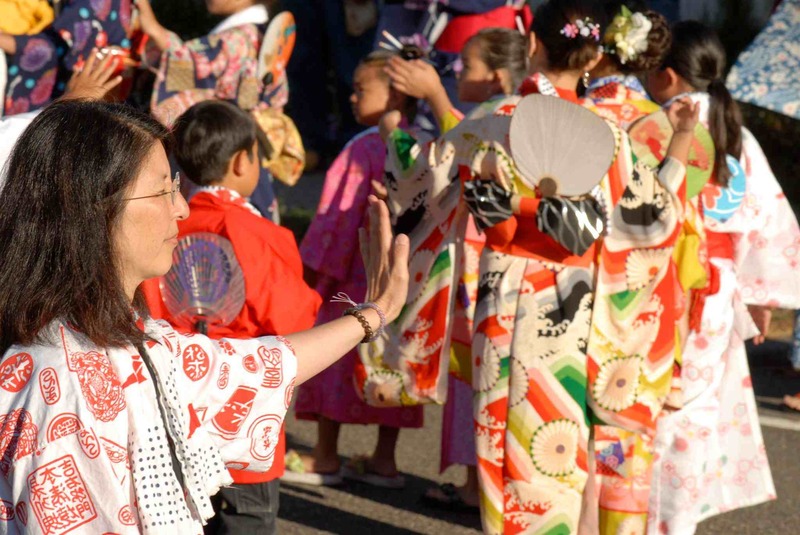 BERKELEY — The annual Bon Odori will take place Saturday, July 8, at 6:30 p.m. at Berkeley Buddhist Temple, 2121 Channing Way (near Shattuck) in Berkeley. Dancing will be led by the Hanayagi Dance School, which conducted five practice sessions in June and July. Dancers are asked to arrive by 6 p.m.; for assistance with dressing, arrive by 5 p.m. This event is jointly presented with Berkeley Higashi Honganji Buddhist Temple. Each temple hosts the Bon Odori every other year. Obon is an annual event to commemorate our ancestors. It is a time of gratitude, giving, and joy. Traditionally, lanterns are hung in front of houses, Bon Odori is performed, and food offerings are made at house altars and temples. Berkeley Buddhist Temple’s Ohakamairi (cemetery visitation) will be done on July 8 at Sunset View at 9 a.m. (meet at Heian Garden area) and Chapel of the Chimes at 12 p.m. (meet at Berkeley niches). Obon/Hatsubon service will be held on Sunday, July 9, at 9:30 a.m. Guest speaker will be Rev. Dean Koyama of Palo Alto Buddhist Temple. For more information, call (510) 841-1356 or visit http://berkeleysangha.org. Berkeley Higashi Honganji Buddhist Temple, 1524 Oregon St. in Berkeley, will also hold its Ohtani Bazaar on Saturday, July 22, from 4 to 8 p.m. and Sunday, July 23, from 12 to 5 p.m. In addition to kids’ games, it will feature sushi, teriyaki chicken, beef kushkatsu, oden, udon, mochi and more. For more information, call (510) 843-6933 or visit www.bombu.org.